We at Ninthlink have had the pleasure of working with world-class photographer Tim Mantoani for a few years now. And on a completely unrelated note, I think I am not the only Ninthlink’er who enjoys playing a little Madden NFL from time to time. 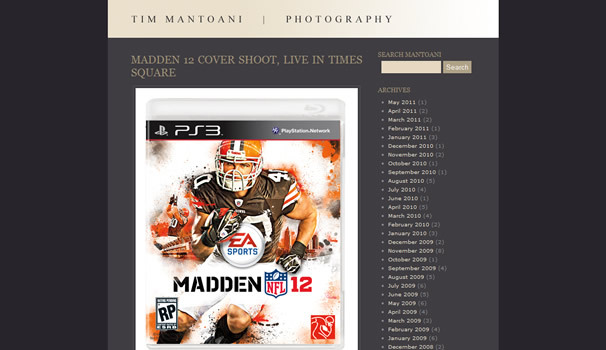 Well now that is not “completely unrelated” any more, as Tim was the one who got to shoot Peyton Hillis in Times Square for the Madden 12 cover. Read all about it over at his blog (Tim’s, not Peyton’s), and check out the excellent EA Sports -approved Vimeo montage after the jump.